This article was originally published in the First Round Review. Not terribly long ago, headlines predicted that Facebook would die because it couldn’t figure out mobile. Of course, we all know the ending to that story. The company invested a ton in making the switch and survived. But it wasn’t without serious struggle. Ultimately, it required much more than a shift in technology — the whole culture of the company had to change. Everyone had to understand what users truly wanted from mobile and the steep costs of screwing up. If she’s learned one thing in her 12 years building products for mobile at companies like Trulia and Nokia, it’s that people treat their phones as an extension of themselves and their capabilities. Mobile is deeply personal. On one hand, phones can leverage identity data and context like location to deliver remarkable, textured experiences. On the other, it’s painfully easy to violate trust. In this exclusive interview, Moatti speaks from a wealth of experience — including running cross-platform notifications at Facebook. 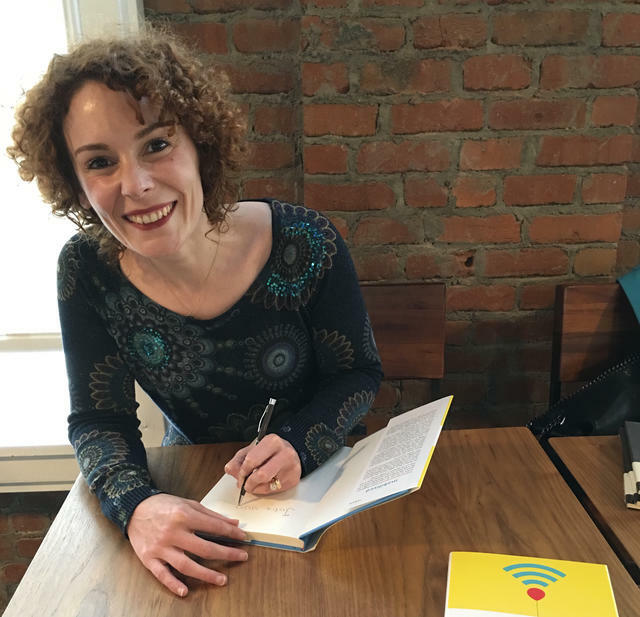 She provides the most critical lessons for creating mobile products that not only capture people’s fascination, but hold it long enough to become a part of their daily lives. People bring their devices with them everywhere, and no matter where we are or who we are, we expect them to work flawlessly. In short, we expect magic from mobile. This is a big part of what made the shift from web so challenging for Facebook. As a free web service, the cost of a mistake for the company had traditionally been rather low. So low that “move fast and break things” was a motto that made sense for a long time. Whenever something went wrong, a few engineers would team up to fix it — no harm, no foul. But this isn’t how mobile operates. When a mobile application oversteps or breaks or isn’t intuitive, the cost is very high. When Facebook made the move to mobile, it had to ditch its “break a few eggs to make an omelette” mentality, a big change in the company’s core values. But it was worth it in the end. Now well over 90% of Facebook’s traffic comes through handheld devices. What follows are the key lessons they learned along the way, and that Moatti has seen repeat again and again at companies striving to do the same. Set a clear goal: Whether you want to get downloads, impressions, or sign-ups, pick just one metric goal to track and optimize toward. Place that goal at the bottom of your funnel: Work backward to determine what has to happen each step of the way to get users to that destination. Optimize the conversion rate of that funnel: Lots has been written about the topic by growth hackers and lean startup consultants, but that doesn’t mean there’s no new ground to break. Sounds good, but Moatti says that this very systematic approach eventually yields diminishing returns. You may be able to improve your goal by 20%, which is already an amazing accomplishment, but on mobile, you need more if you’re really going to be successful, because the ecosystem is so complex. You need to psychologize your audience to devise the proper hook. Moatti advises starting with this question: How can I make my service interesting and fun for everyone? What data can I expose that would be addictive for people to know and share? Basically, what do they not know yet, that ideally is of popular interest and regularly changes? For Zillow, that was housing prices. Find and test your hook to maximize your app’s discovery. Your onboarding process should be defined by one theme: Showing users exactly how valuable your product will be for them. What’s important for them to know to recognize this value? Put it front and center. For instance, new Facebook users (yes, there are still many), are not immediately thrown into a newsfeed or asked to create a profile. The one thing they’re asked to do is connect with their friends who are already on the site. From the first moment, it’s clear that people you know are already using the product — which is pretty compelling. You should know what your product’s onboarding threshold is. At what point, and after what actions, does your product become sticky? Why? Pandora is another example. Given all the music services out there, its challenge is to demonstrate its unique value proposition quickly. So its onboarding flow has to pull double duty — both teaching people how to use the app and showing off what it does best. Accordingly, Pandora’s onboarding threshold asks users to create their own station so they can experience the power of its recommendation engine. It’s vital that you get new users to focus on one task at a time. Helping your users focus on what to do next is value you’re providing. Think of it that way. Next to your app straight out crashing (the ultimate kiss of death), an overly complicated welcome process is the biggest turn off. Before asking them for any personal information, the app would very organically allow users to set criteria around the type of rentals they were looking for — whether they wanted a two bedroom, or parking, or something for less than $3,000 etc. “Instead of asking people directly to sign up, demonstrate to them why they should,” Moatti says. Once a user had specified their criteria, the app would ask them if they wanted to save their search so they could pick up where they left off later, and if they wanted to receive notifications of new listings that matched their preferences. Only if they said yes did the app prompt them to enter their email. And at that point, it seemed like a good exchange for something concrete. “Crossing that big threshold where users give you their contact information becomes a lot easier when they perceive they’ve already gotten value from your service,” Moatti says. This is where the initial onboarding flow ended for many users. But when they came back, triggered by a notification of new listings, for instance, the app led them to engage even more deeply — again by focusing on the next logical, single task. “When users came back to look at a rental, we’d ask them if they wanted to apply. And if they said yes, we immediately showed them other rentals that also met their criteria,” she says. You should be looking for and testing out such shortcuts all the time, according to Moatti. One of the top questions Moatti fields from app makers is when they should be asking permission to send push notifications, access a phone’s camera or contacts, and more. There’s a lot of data pointing to the right way to do this. Moatti recommends making a comprehensive list of all the permissions you might possibly need for your app to deliver a full experience. Think about all your capabilities based on platform. Android, iOS, watches, iPads, etc. all have different abilities you can bake into your product. You want to make sure you’re being thoughtful about all of them. Turn your list into a matrix where you mark whether you want to ask that particular permission as early as possible or as late as possible or not at all. For example, you might want to access their location data as early as possible, but their iOS health data as late as possible. Cross out the permissions you don’t need. You end up with a game plan. But don’t stop there. “You should always be A/B testing the right moments to ask for critical permissions,” says Moatti. “At Facebook, we experimented with asking to send push notifications before log in and then immediately after login. You’ll uncover opportunities to optimize.” On top of that software updates come with changes to permissions, so you’ll want to revisit this regularly. SC Moatti at a recent book signing. Design plays a major role in whether a mobile strategy succeeds or not. People have much higher expectations for the look and feel of mobile products than they do for their web-based counterparts. This might be because devices themselves are sleek and high-design. It might be because Apple in particular has placed such a premium of beautiful experiences. Regardless, the bar has been raised, and mobile products that look dated, unpolished, or clunky are at a drastic disadvantage. In technology, beauty isn’t so much about pretty pictures and more about efficiency: Nothing is wasted, and that’s beautiful. With mobile apps, surprises are very rarely a good thing. When a user is suddenly presented with a screen, a choice, an action that doesn’t seem logical or intuitive to them, there’s a high chance they’ll bounce and never be seen again. You want to rigorously remove any experience that could feel this way. Gestures are another area ripe for unpredictability. Many app makers get too creative with the gestures they require, and it only makes user experience worse. “Right now, we’re at a point with mobile where you should never be coming up with new gestures for users,” Moatti says. “Still, I hear developers say all the time, ‘Instagram introduced the double tap! Tinder made swiping a thing!’ But we’ve gone too far.” Now there’s a standard lexicon of gestures you should draw from to make your app accessible. This extends to making sure gestures produce the expected response within your product. If you’re asking people to swipe, then that action should move elements one way or the other. If you’re asking people to tap on an image, that should probably take you to a screen with more details. Invest the time to think about what people expect from the actions you want them to take in your product. As often as possible, you want them to get exactly what they expect. There’s a reason Facebook had to dramatically alter its mindset to become a great mobile company. More important than having the talent to build something smart and high-quality, it needed this talent to have the time, space and inclination to think through these challenges. After all, Facebook was instrumental in defining the gestures, look and feel, and expectations people now have across the board for mobile experiences. Each of the lessons above boils down to being mindful about users’ goals, how human attention naturally travels through an experience, how to present clear and logical choices, and how to make a service feel incredibly personal without overstepping. Beyond that, each of these areas requires constant, methodical experimentation. None of this is possible without refactoring your culture to invest in and prioritize these behaviors — many of which are not immediately productive. Connected devices have forever changed tech’s ‘move fast and break things mentality,’ Moatti says. When you’re designing a product to extend a person’s identity and capabilities in the world the way that mobile does, it’s better to move slow and deliver delight.